Box measures 4.875" x 6.625" ; Cards measure 3.75" x 5.5"
The Kuan Yn is a gorgeous new deck illustrated by Zeng Hao, with the accompanying book written by Alana Fairchild. This beautiful collaboration resulted in a deck and book set that is as lovely a treat on the eyes as it is for the spirit. 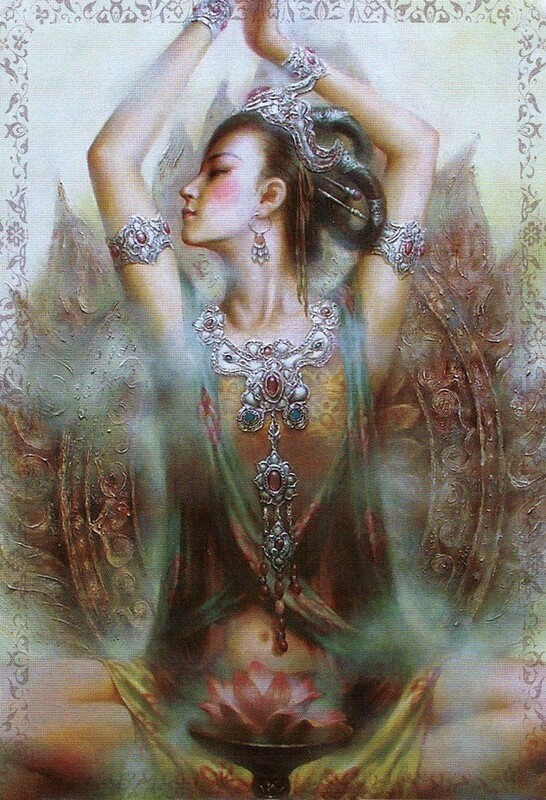 The cards are all so beautiful, elegant, graceful, peaceful and feminine. 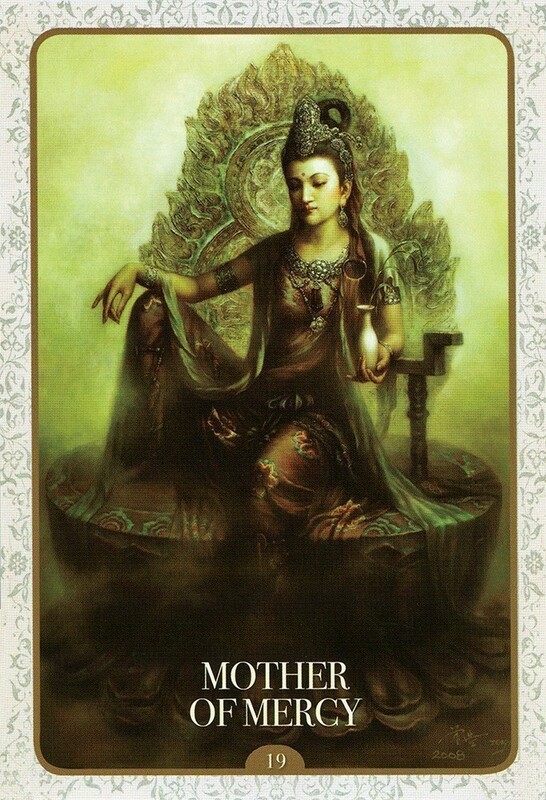 My favorite card is the Lotus Throne (above). When I saw the image of this card online, I had to have this deck. It is beyond gorgeous. I want to be her. I was blown away with how accurately this deck matched my daily life experiences. For a couple weeks, I pulled a single daily card, and it never failed to align, with minute detail, with what was going on for me that day. The deck reads very gracefully, and the spiritual messages are gentle and empowering. 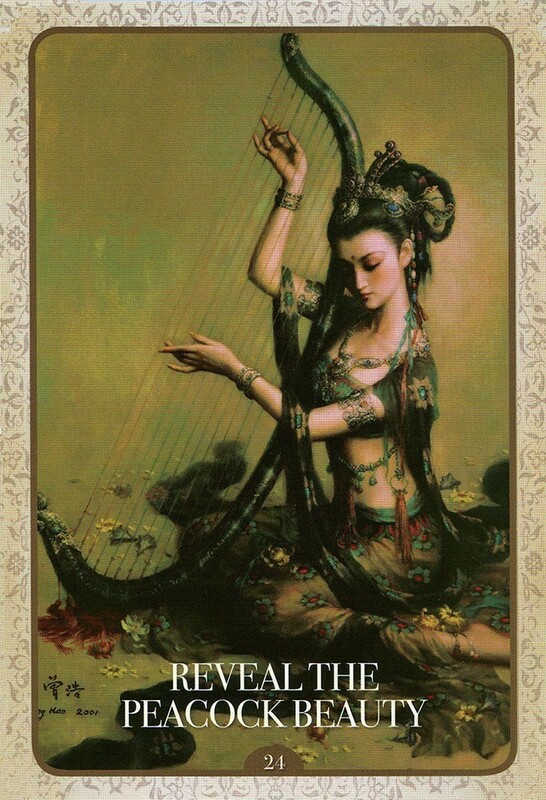 The cards, gorgeous as they are, don't lend themselves to intuitive readings on their own, as they are all very alike. So the book is invaluable for this deck to work its magic. You really do need to learn the meaning behind each card. This deck has not failed to give me the exact message I need to hear on any given day. Every time I draw a card, I am amazed at how it seems to be written just for me. It has been like having a divine friend with me, knowing exactly where I am and where I want to go and what I need to do, guiding and encouraging me along the way. The 144-page book that accompanies this deck is wonderful. Alana Fairchild has a lovely voice, and was the perfect author for this set. 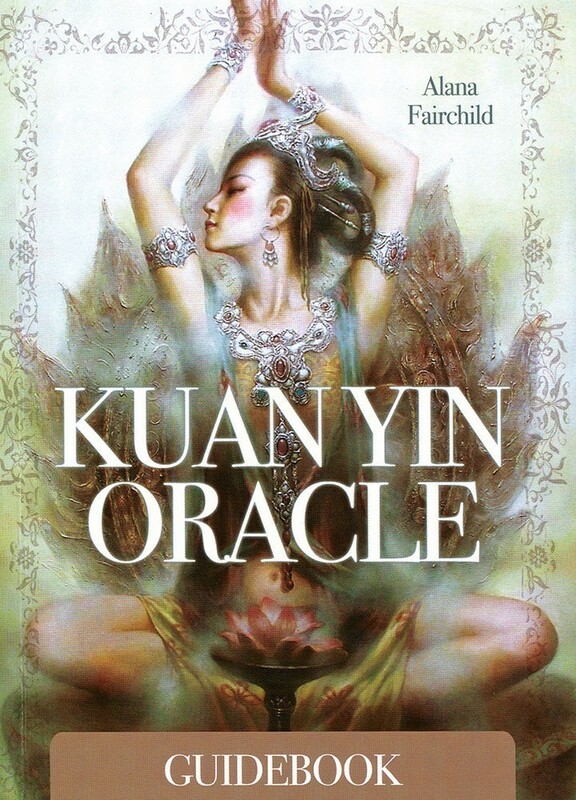 The author's voice is so comforting, it's as though she channeled Kuan Yin's compassionate and loving spirit while writing the book. The passages guide you lovingly through the difficult times as well as the blessed. You can really feel the divine energy coming through her words. When you read the message, you feel loved, which is an amazing testimony to the power of the author's voice. I love this deck! 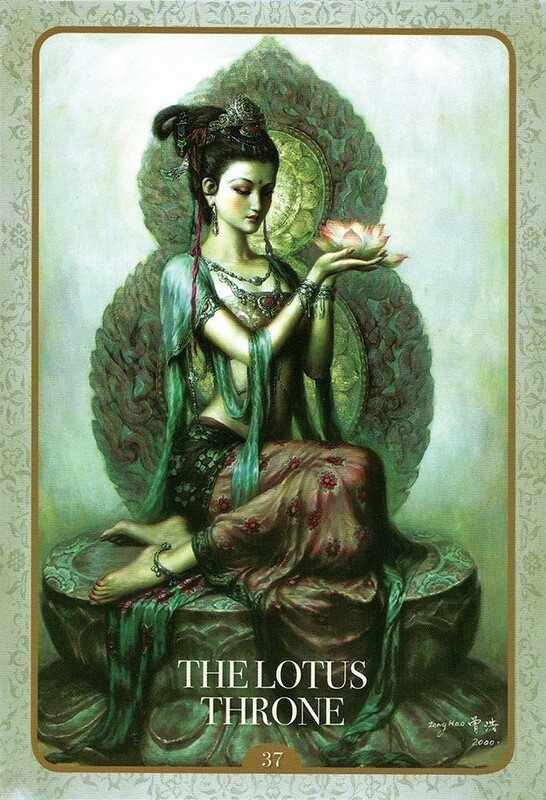 Both the cards and the book simply exude positive feminine energy. 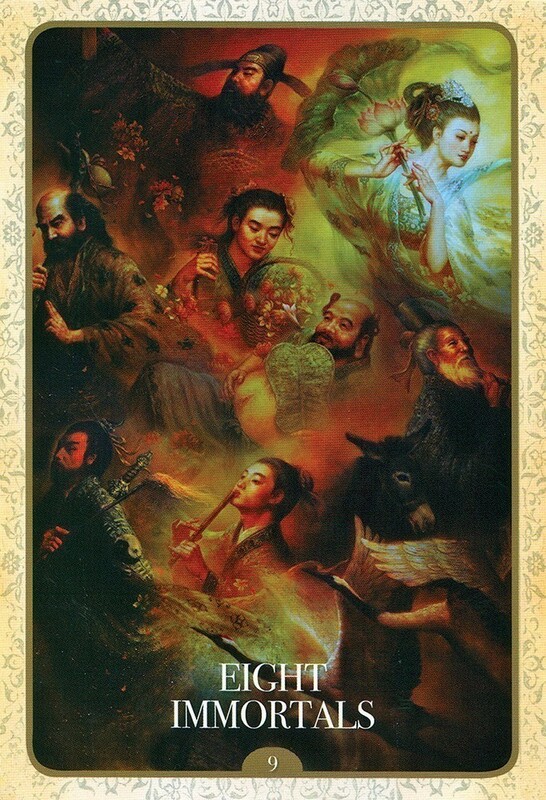 The images are exquisite, and the book is marvelous. If you are looking for a deck that will channel the Divine Feminine, look no further. It's been a really beautiful experience working with these cards and book... it's a set I will cherish. 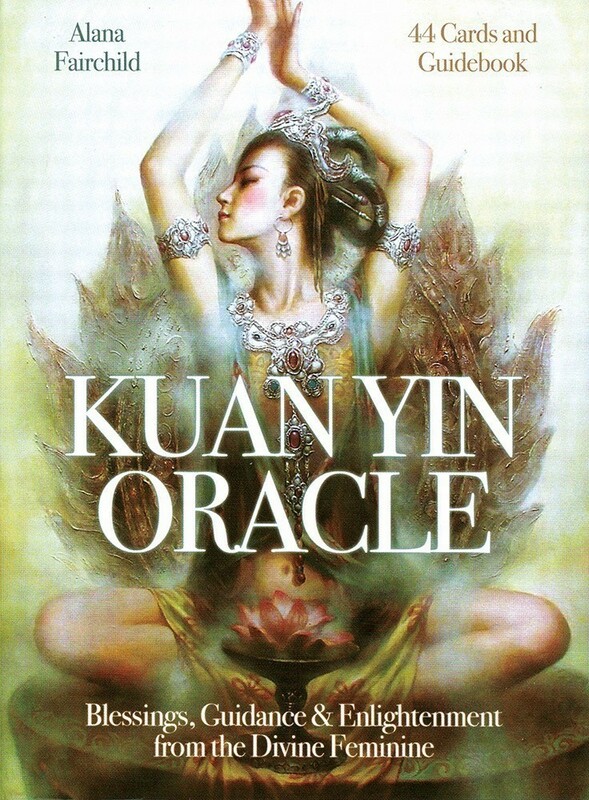 Back around July of 2010, I had won an oracle reading at a local health and wellness open house, which I went to and was quite impressed by what I learned about myself and my life's journey. 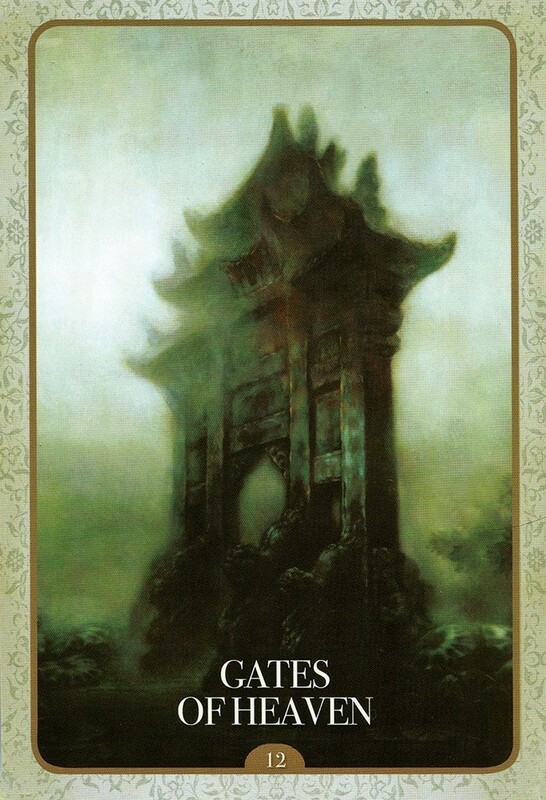 Ironically, at that same reading is when I fell head-over-heels with the specific oracle deck the woman used to read me. I had been following this particular oracle and its author since it was published and to say smitten would be a gross understatement! The oracle deck boasts 44 incredibly beautiful, intricately detailed and soul capturing cards and comes with a 144-page guide book that explains a little about each card in the deck. Each page also provides meditations, prayers and exercises you can do to help connect with your inner peace, beauty, and awareness. 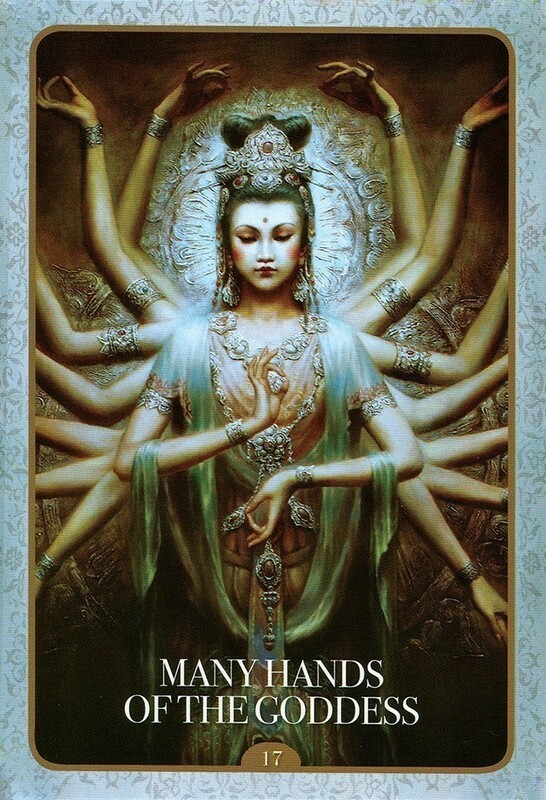 Kuan Yin IS after all, the goddess of compassion guiding us to love ourselves and reach the Divine Feminine.